Discovering old family photographs is a great way for you to connect with your ancestors. This Dead Fred Review will show what this free site can offer you and also how you can help in the process. Within this review I want to explore how this website came to be, and how the name Dead Fred really took off. I will cover the tools and features of the site, and also what help and support you can expect as well. And finally I will reveal whether I in fact recommend this site or not. Bottom Line Basic, But May Help Your Search! As I mentioned at the start of this review old family photos are a great way for you to know your ancestors. They put a face to the name that you are researching. After you have read this review you may want to search around your home and find whatever photos that you may have. You may also like to check out the Old Family Photos section of the site here where I discuss among other things, how to date, organize and scan your photo collection. Do I Recommend Dead Fred? The original website was more of a hobby for Joe Bott when he first started it started back in 1998. Things were slow to start off with for the site. But with the introduction of the site name “Dead Fred” things really took off for Joe. Much so that the volunteers that helped him with the site were quite overwhelmed. The name is rather catchy, it just rolls off the tongue and it’s very memorable. The birth of Dead Fred! For Joe the name for the site was a long time in the making. It all pretty much started when he was browsing the marketing website eBay. He saw a photograph of Frederick the Great, who was German Emperor and King of Prussia for just 99 days in 1888. He subsequently bought the photo of King Frederick, which was a good deal incidentally. Anyway, Joe was still undecided what to call his new site. His thoughts though soon turned to the old photo that he had purchased. It wasn’t long before the name “Dead Fred” popped into his head and he knew that that was the name for his site. The name not only pays homage to the late Emperor and King but also to Joe’s German heritage. Joe’s 2nd great-grandfather lived during the reign of King Frederick. And so the site’s name links the past and the present together. The site has now been online for 20 years and has amassed quite a collection of photos and records. Currently there are 20,043 surnames listed in the databases with 130,706 records as well. The site has also recorded 2,693 reunions, which are the individual occasions when someone has successfully found an ancestor’s photograph within the collection. You may not think that this number is quite large but just remember if it were not for Dead Fred then these 2,693 people may never have found a photograph of their ancestor. So, in my opinion it’s great that this website even exists in the first place. The site was created out of a passion of recording old photographs and linking them to descendants who are trying to find them. So, if you are the family history detective then this website is definitely for you. Also, a professional genealogist can certainly benefit from this site as well. OK, so I briefly touched upon why you should use this website in the last section. And that is that YOU may actually find an old photograph of one of your ancestors. Wouldn’t it be great to discover a photo that you never even knew existed. Let alone seeing what your ancestor actually looked like in the first place. For me seeing a picture of my relatives makes them feel closer to me. It makes genealogy so much more special. I get to put a face to the name that I have been researching! A site built by volunteers! Of course the website would not really exist without the help of its contributors, YOU. Really the site would exist but would not be as nearly as useful without the thousands of photos that have been submitted to the collection. So, if you want to help the genealogy world in some way then why not upload your photos to the site. You may help someone to reconnect with an ancestor, and who knows you may even connect with a cousin. I’ll discuss later in this review how you can contribute. There are 5 ways that you can search for your ancestors at Dead Fred. All from the home page. I must admit that the website layout is quite different to other genealogy sites, (menu appears in right sidebar). In that respect it may take you a little while to figure out where everything is on the site. But once you know where to start your search you are well on your way. Let’s look at each of the 5 ways to find your ancestors. The quickest way to find your ancestors is to put their surname into the search box and hit ‘Go Dig‘. From the search you will either get a number of results that match the surname that you have entered, or the unfortunate ‘No Ancestors found…yet!‘ message. This is merely an alphabetical list of surnames that feature in the collection. It’s great to search to see if your ancestor is on the site. Alternatively it can be useful if you don’t know how to spell your ancestor’s surname. If you want to be more successful with your search and not have to sift through a lot of photos then the Detailed Search option is for you. It will help if you put in as much information as you know about your ancestor. Although if you do not find anything you can always cut out some information that you have put in. 1835-1850; 1851-1900; 1901-1920; 1921-1940; and 1941-1960. 0-5; 6-10; 11-15; 16-25; 26-35; 36-45; 46-55; 56-70; 71-80; 81-90; 91-150. Personally, I would suggest leaving this field blank. Unless the uploader knows the age of the person in the photograph then this not worth filling in. Also, there could possibly be a mistake with the date when submitted. Ambrotype; Black and White; Cabinet Card; Carte De Viste; Daugurreotype; Donated; Group; Portrait; Snapshot; Tin Type; and Wedding Portrait. Once you are happy with the information that you have entered just click on the Submit button and see what results come up. From this search you can help solve mysterious photos that have been submitted to the site. The fields that you can enter information to are pretty much similar to the Detailed Search option, albeit there’s no Last Name box. There is though a Subject field where you can select who is in the photos you want, i.e. Adult Males; Adult Females; Young Males; Young Females; or Babies. The last option available to you is to enter a keyword that you think may produce results. For example, if you were to enter “war” into the search box that would give you 6165 results. However, entering “warrior” would produce just 4 results. Clicking on any of the search results that interests you will bring up a page similar to that as shown below. From here you can see that there are a number of fields that have information added. Although, there are a few details omitted, (such as the photographer’s information). There is also an added Comments section where the submitter has provided additional notes that may be of use. From the results page you can Contact Submitter, or you may even like to view all records that they have submitted. As I mentioned earlier the site would not be nearly as successful if it were not for the volunteers that have uploaded thousands of photos. So, you can do your bit by submitting your photos. You can do this by clicking on the Post Photos option within the Tools menu on the right of the page. There are only 2 requirements that you need to follow when submitting a photo. Dead Fred allows photos to be either submitted online, or by United States Postal Service. If you do decide to send your photos by mail then the site will reimburse you for the postage. You will need to email the site in order to receive the necessary instructions to submit your photo by this method. Please note however that when you do submit your photos by mail that your submission cannot be returned and will be the property of Dead Fred. The process for submitting your photo online is carried out in two steps. The first step will be to click on the Choose File button and locate the photo on your computer. Once you have found and selected the photo you can then click the Upload Photo button. Please note however that you will need to read the terms of service and click the adjacent box before you can actually upload your photo. The second step is then to fill in as much information as you know about the person or persons within the photograph, (as well as the photographer). Plus any additional comments that you think may be of relevance. If you don’t have any photos to submit then please do not worry as you can still do your part to help. Dead Fred accepts donations via PayPal. So, if you already have a PayPal account then you can easily donate to the site by clicking on the Donate button found at the bottom-right of the page. Clicking this button will bring up the PayPal page where you can set how much you want to donate. And if you do not have a PayPal account then please don not worry as it is really simple to set one up. I have already covered a number of the tools that you will find on the website. However, I will briefly cover these here again, with a few additions as well. Please note that these tools are accessible within the menu bar that can be found on the right of the page. From here you can perform a detailed search for your ancestor by filling in as much information as you can. This option will allow you submit your photos online. From here you can also find out how you can send your photos by mail if you wish. Perform a search for your ancestor by going through the A-Z index of records. Help solve the photos that have been submitted but are lacking the surname of the person in the photograph and key details of information as well. From this option you can also submit your own Mystery Photo. You may want to search through the photos that appear on the site by checking out the person, (or studio), who took the photo. School yearbooks have also been submitted to the website. From this option you can find yearbooks that date from 1883 right up to 1936. You can submit your yearbook to the site’s creator Joe if you wish. Instructions on how to do this can be found in this section of the site. There is a Frequently Asked Questions page on the site where you will find 17 of the most common questions that have been asked. The questions asked range from submitting a photograph, getting copies of a photo, purchasing a photo, donating to the site, and a few other queries as well. If you cannot find your query on the FAQs page then you can always head on over to the Contact Us page. You can choose whether you would like your response to be received by E-mail, Fax, Phone, or Postal Mail. Therefore, depending on the method of response please fill in the appropriate information. Underneath the details section there is a Comments box where you can enter your query. From here you can also request to be notified of any new photos on the site. Why not join the 30,000+ people and follow the Dead Fred Genealogy Photo Archive Facebook page? From here you can check out some of the latest photos that have been submitted to the site. Also available from Dead Fred and 9 other genealogy experts is The Desperate Genealogist’s Idea Book. This is a 150-page e-book that contains articles and case studies that provides many tips, shortcuts, resources and step-by-step instructions as well. By learning from the best of the best you will definitely be able to conduct better genealogy research and build your family tree much faster. Proceeds of the book will help support and maintain the Dead Fred website. Please note that you will need to have Adobe Acrobat Reader installed on your computer. Again do not worry as this is real simple to set up. First of all I just want to address the cons of this site. After all it is a fabulous site where you can research your ancestors. To start off Dead Fred can be a rather hit-and-miss website. But that’s only because it isn’t as large as say Ancestry. The collection of photographs is growing though and it has helped more than 2,000 people connect with photos that they did not even know existed, (or even maybe just reconnected with them). In that respect it is a great opportunity for you to use. Secondly, the site design is a bit basic. But once you’ve gotten your head around it you soon get used to the layout and how to use the site. At the end of the day it is a free resource that you can utilize, so there is no harm in trying it out. Also, like me, you may want to give back to the genealogy world and post your photos to the site and help others. Yes, I definitely do recommend Dead Fred, even if you don’t find your ancestor you can always submit your old photos and help your fellow family historians. 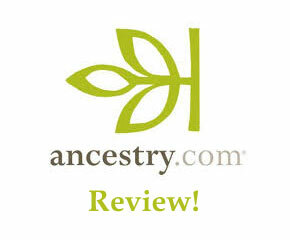 If you decide to check out this genealogy site then please come back and let me know what you think of it. I would love to hear how it is working for you. Discover Your Ancestors Old Photos! Get clues about your ancestry! I hope you enjoyed this post giving my Dead Fred Review. If you have any questions or comments then please leave a comment below. 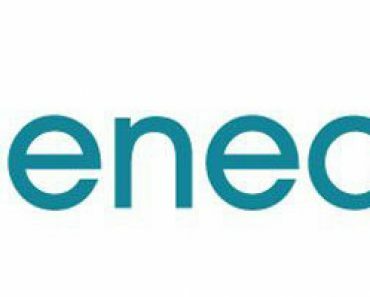 Geneanet Review – Discover Your French Ancestry! World Vital Records Review – Can It Help Genealogy Research? Billion Graves Review – Where Are Your Ancestors Buried! Owain , Wow! You rocked my world , Thank you for the wonderful review . You really nailed it . My Simple purpose , ancestors photos . Thanks also to the folks that commented ,Hope this review will send more photos to “Fred” so we can get them were they belong .. with family. Thanks for reaching out Joe. I am glad that you loved the review. Your site is a wonderful and helpful resource to anyone researching their family history. I do hope that more people do visit your site as a result of this review. Great article! 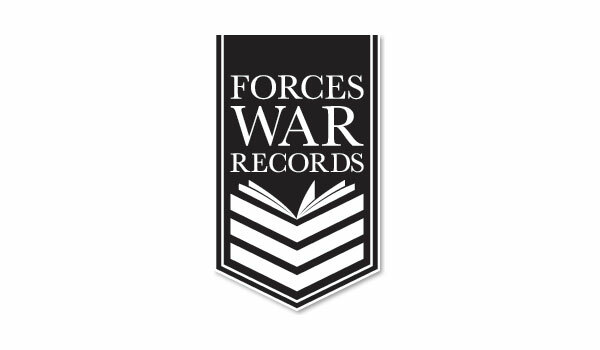 Haven’t found a site like this but have always had a strong interest in learning some more about my family background. It’s awesome that this is free and really cool that new photos and details are continually added. Thanks for pointing me in this direction! Cheers! You’re very welcome Alex. Glad that you liked this review. It’s great that this site exists and that it is free. I would suggest that if you do not find any photographs of your ancestors on this site that you do upload any of your photos. You do not know who you will help, and who knows you may make a family connection this way. Had never heard of this website before but will definitely be checking it out. I love history especially when it comes to where I can from. This is such a great idea sharing photos. I wonder why no one has ever thought of this before. Thank you for this review!!! Yeah it is a great idea for a site. I don’t think there is a similar website around, so it definitely seems unique. Although you can find photos of your ancestors on other sites this is a bit different. I wish you all the best and hope that you find your ancestors on here. Loved the review. I didn’t even k ew that such a website existed. So thank you very much for this. Are there any parts of the world that are not covered by the search? I didn’t really understand. Is it only available for the US or worldwide? Glad that you liked the review. Yes this site is for anyone in the world. It does though mostly comprise photos that have been uploaded by U.S. citizens. Hi I think your review of Dead Fred is very good and quite detailed. I think I will have to keep reading it to get my head around it. It offers a good chance to research ancestors photos but we do need to know some details in the first place about them. My mum’s ancestors were named Smith so that is a difficult one to trace. I think it’s great though if people get to know something and actually see a person who is their ancestor. Thanks Julie for your comment. You are right when you say that you should get to know your ancestors first. 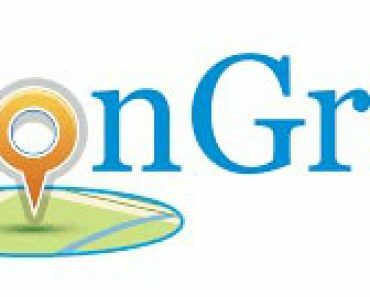 Try checking out the other Genealogy Search Websites to find records. Then it’ll be great to go to Dead Fred and see what your ancestors look like so that you can put a face to the research that you have carried out.